You wouldn’t believe how a little snack makes my daughter this happy. This is why I keep trying to come up with healthy and blood sugar friendly recipes. Bade has to have a snack before she goes to bed (generally a fruit or some goat milk kefir) so tonight’s snack was a total surprise for her. 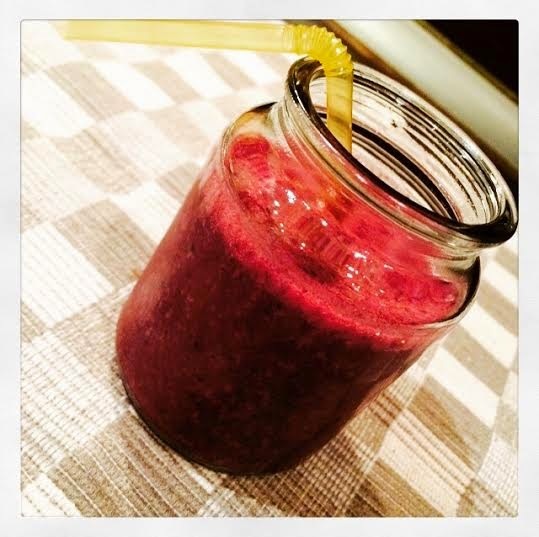 Red Mulberry Banana Coco-Shake! If you are wondering how i found red mulberries in this season I have to admit that I’ve been storing them in the freezer since summer. Mulberries are great for blood sugar control. Other ingredients are quite simple!